In its first year the show had a huge impact on the farming calendar, attracting 100 trade exhibitors and thousands of farmers and visitors. Now in its fourth year, the event is a well established date with farmers from all over the UK, and we will be exhibiting for the fourth time. 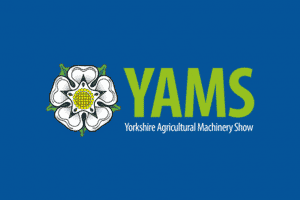 Come and see us on our stand and see our latest range of cultivation and seeding equipment and find out how our machines can fit into your current system. Open from 8.30am to 4.30pm this is an event not to be missed.